The All Progressives Congress (APC) governorship candidate in Lagos state, Mr. Akinwunmi has enjoined the youths to make an informed and wise decision to vote for the APC at all levels in the forthcoming general elections stating that such move will liberate the nation from the shackles of an ineffective government, poverty and unemployment. He said such a decision will be tantamount to saving their future. While addressing the mammoth crowd at the APC Alimosho rally, Ambode argued that the present PDP government at the centre has actually taken the entire nation aback in past 16 years of democracy despite the availability of resources thus making it pertinent for everybody, the youths most especially to vote them out in favour of the progressive governance and better future that the APC stands for. “It is an historic moment in our Nation, and you all should decide to partake in rewriting it. I implore the youths to vote en masse to install a progressive and revolutionary government at the centre. 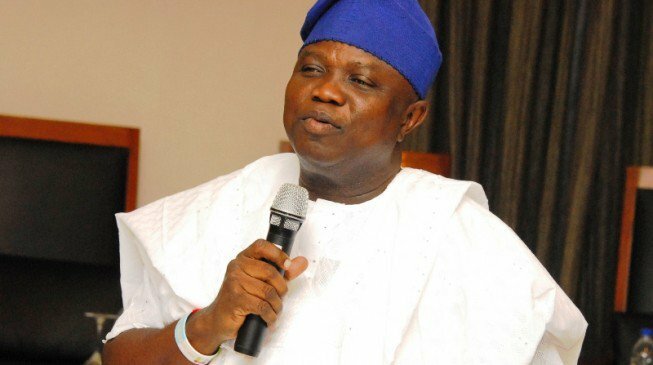 By doing this, we will all go down in our Nation’s history as the generation that voted out a reckless and retrogressive government through the ballot”, Ambode noted. He further stated, “the truth is that this election is about our future and it goes beyond the sentiment of tribe or religion. I keep saying that we must both individually and collectively rescue Nigeria. It will be for ourselves, our unborn children; it will be for liberty, it will be for hope, and it will be for prosperity”. “The election before us is centered around how to secure the future of the youths. You are a majority and are pivotal to the development of this Nation at all fronts. Unfortunately, you have been neglected; this is not in any way political, it is a fact. 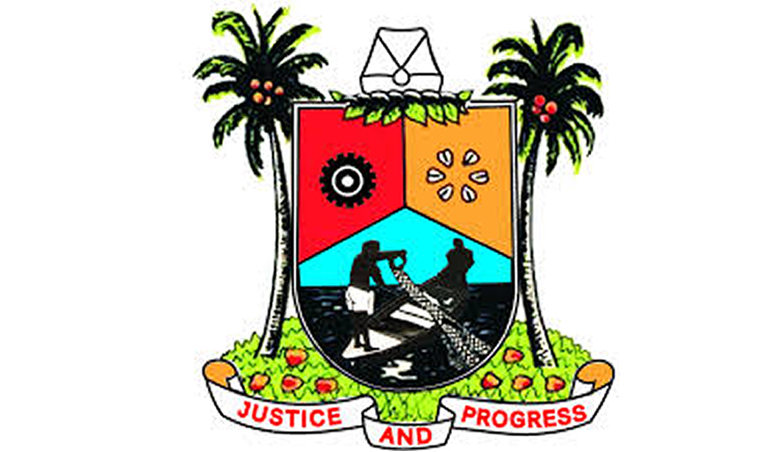 Now is the time to give prospects to your future by voting rightly”, Ambode stressed. Governor Babatunde Fashola reiterated at the rally that it will only be logical for every well-meaning Nigerian to vote out the PDP government at the centre, stressing that the manifesto of the APC is designed to address all the ills created by the PDP administration. “In the next two days before the election, be calm and think about it very well, think about the lies, incompetence and the many deficiencies of this present PDP government; then compare it with any APC state government. I am sure you will make a more concrete resolve to vote for the APC and actively partake in the process to replicate good governance all over Nigeria”, Fashola said. Fashola noted that the example of productive governance is what has been obtainable in Lagos for the past 16 years and declared that Ambode is the man to continue with that tradition and lead Lagos on a path of growth. The rally witnessed an overwhelming turnout of electorates in the largest Local Government Area of the state and saw the presence of senior APC party stalwarts, candidates and party leaders, notably, the Governor, State of Osun, Ogbeni Rauf Aregbesola, the state chairman of the party, Otunba Henry Oladele Ajomale and candidate for Lagos West Senatorial district, Hon. Solomon Adeola Olamilekan. 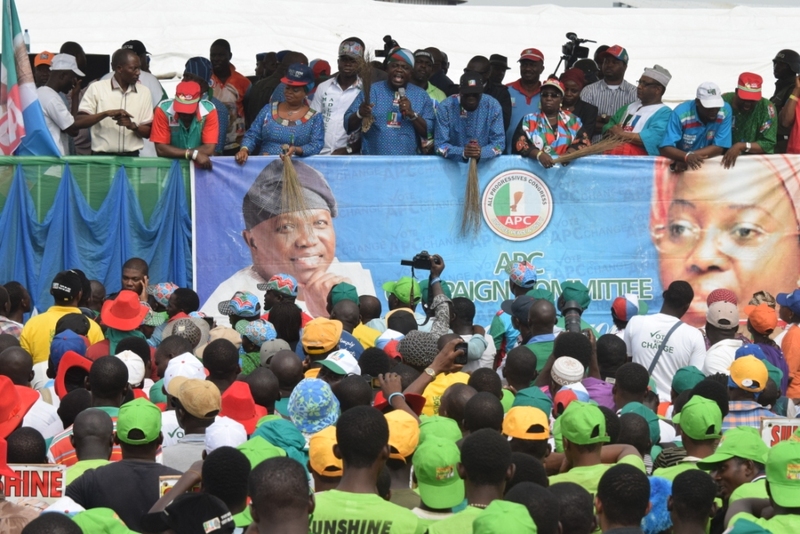 The entire people of Alimosho Local Government Area (LGA) in Lagos state today expressed their total support for the All Progressives Congress (APC) by trooping out en masse to cheer the Akinwunmi Ambode roadshow that rocked the LGA to further create awareness for Change amidst the electorate ahead of the elections. 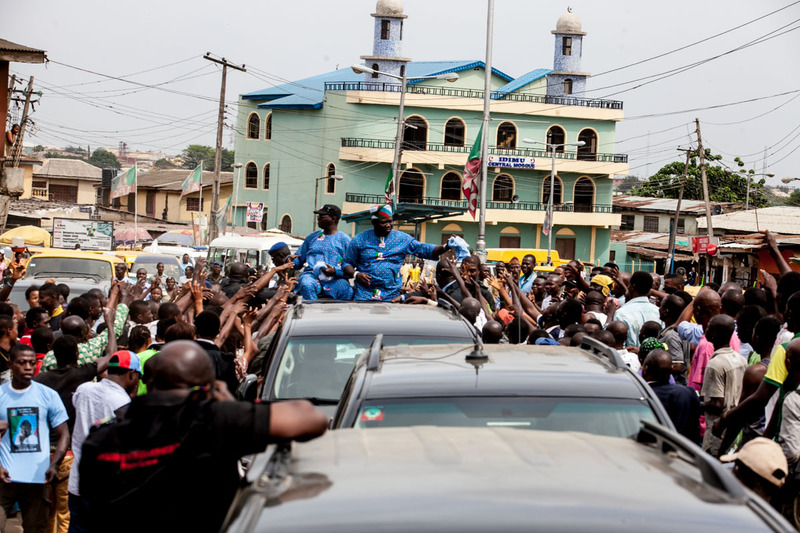 The APC governorship candidate and the incumbent, Governor Babatunde Fashola (SAN), took the roadshow through all the major areas in Alimosho, including Ipaja, Mosalasi, Egbeda, Idimu, Ikotun and Akowonjo among others. 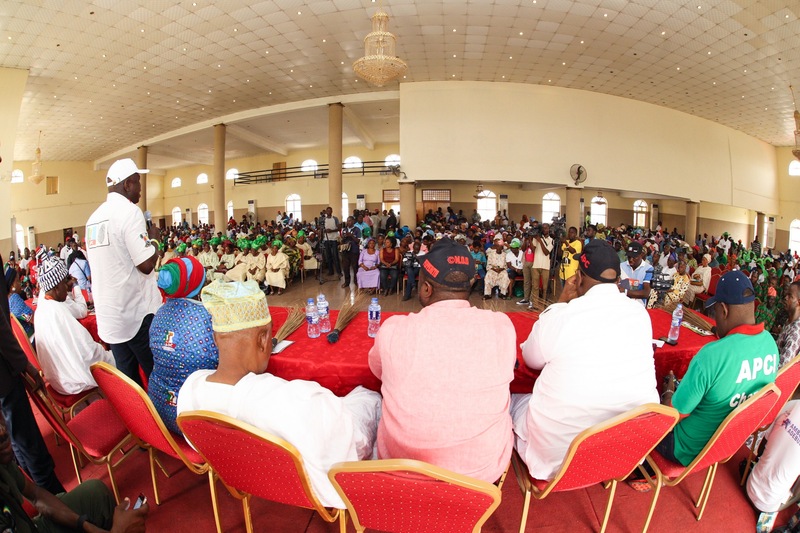 All Progressives Congress (APC) governorship candidate in Lagos state, Akinwunmi Ambode today continued his engagement of the electorates in a town hall meeting, held this time in Kosofe Local Government Area (LGA) of the state. 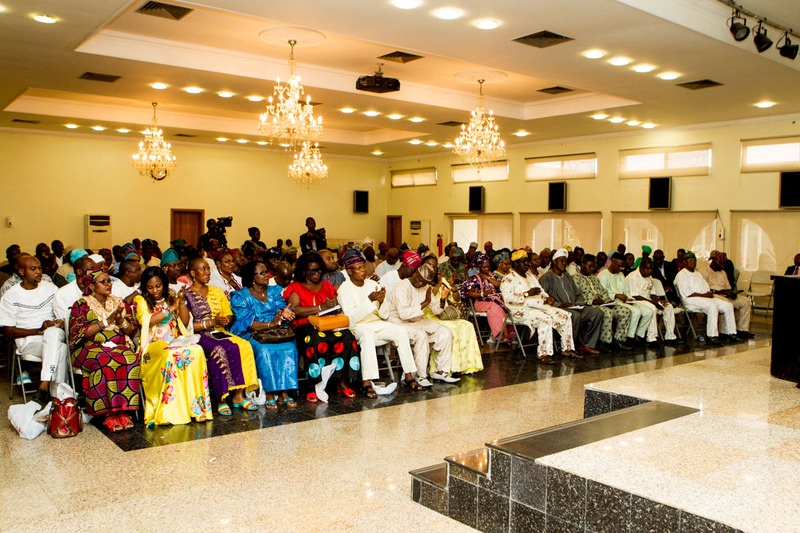 Community Development Councils (CDC), artisans, market women and men, and youths formed part of the electorates that gathered from Agboyi-Ketu, Ikosi-Isheri and Ketu, to meet with the gubernatorial front runner; the productive interaction that ensued afterwards gave an insight to the government of inclusion that Ambode promises. 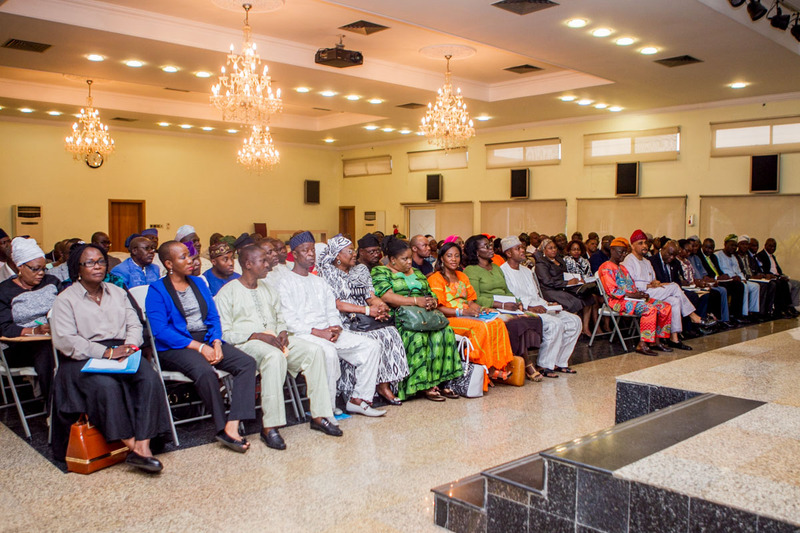 At the meeting, Ambode said that the incoming election is about the future of the children and the youth, noting further that, it is therefore important to engage the people using such interactive platforms, to give them the chance of making informed and wise voting choices that will guarantee good governance. 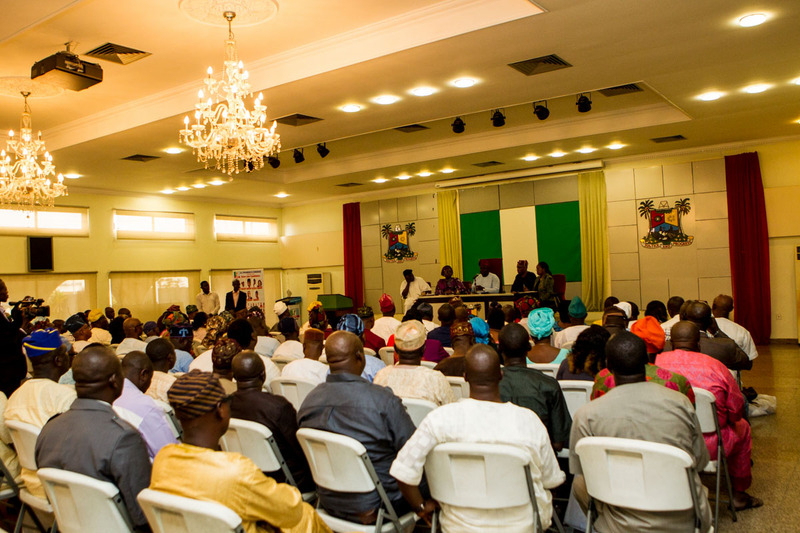 In a similar fashion to other town hall meetings already held, questions raised by the Kosofe people included those related to the desire for a government of recognition and inclusion, better livelihood, welfare and empowerment programmes, and more importantly, the roles of CDCs in governance. The Lagos governorship hopeful gave reassuring responses to the questions, while boasting of an adequate understanding of those concerns raised by the people. 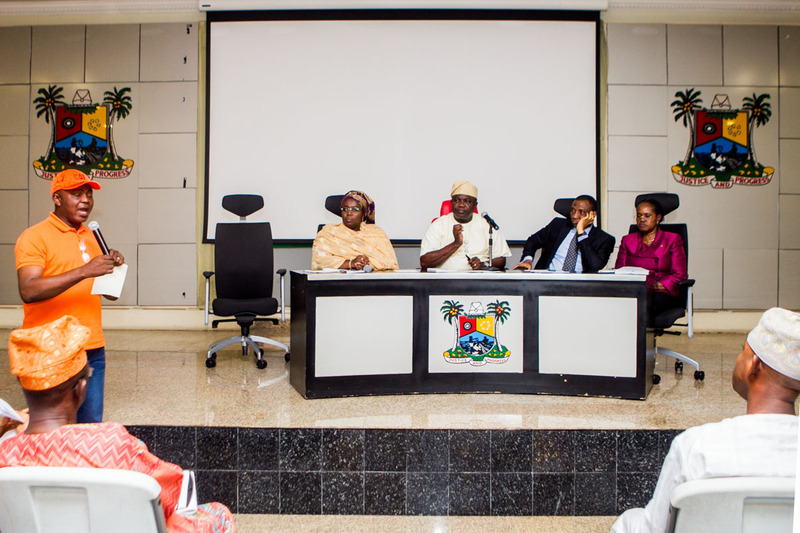 He said that his promise of continued excellence in Lagos, sufficiently covers for all their concerns. He assured the majority of artisans that they will be engaged in no small way through the many empowerment programmes designed to employ their expertise and expand their businesses. He said the markets will also benefit from the plan to improve infrastructure across board in the state. 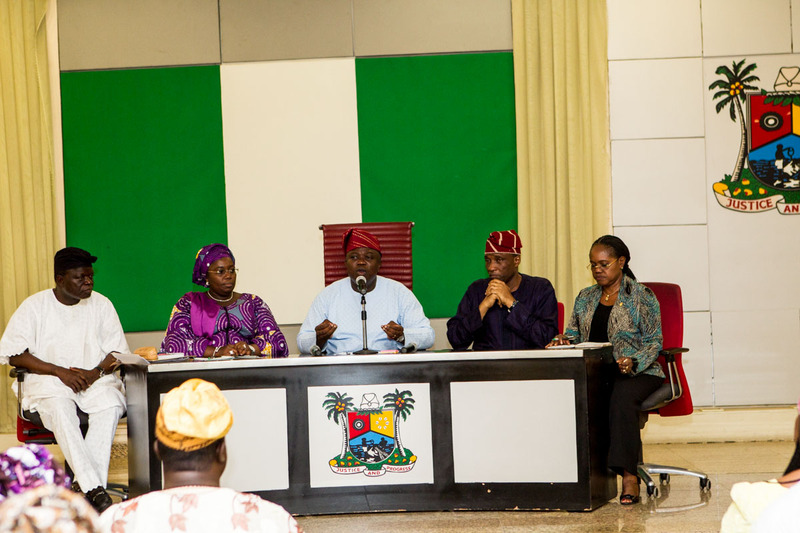 Ambode restated his promise of giving governance back to the community and local government, adding that, “this is the mode of government that will ensure that the fruits of governance truly reach your hearts, homes and localities, and also ensure that no one is left out in the interest of good governance”. Above all, Akinwunmi Ambode promised to fully employ his experience and try his utmost best to continue the giant strides that the great party, APC, has achieved in Lagos in the past years, much to the cheer of all present, party leaders and the electorates inclusive. 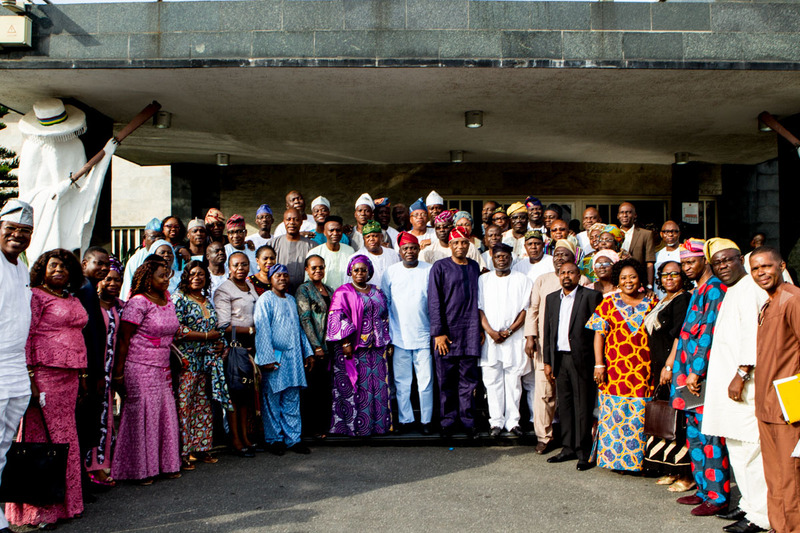 He was joined at the session by APC Lagos state House of Assembly candidates, Honnourable Bayo Osinowo and Barr. Tunde Braimoh;, Federal House of Representatives candidate for Kosofe, Prince Rotimi Agunsoye, and Party leader, Pa Sunmola. They all appreciated Ambode’s engagement and recognition, and as such, promised on behalf of the Kosofe people that, they will all solidly stand by his candidacy.